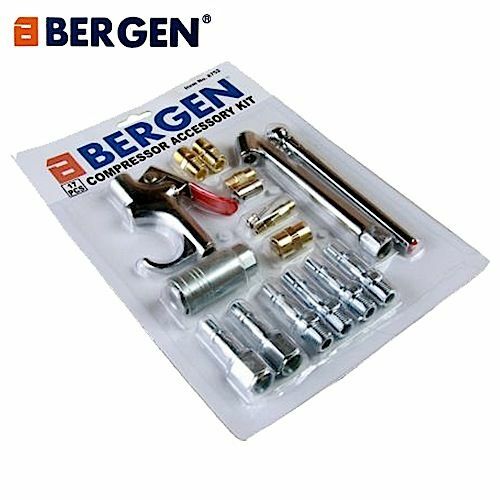 Bergen Tools 17pc Air Compressor Accessory Kit. 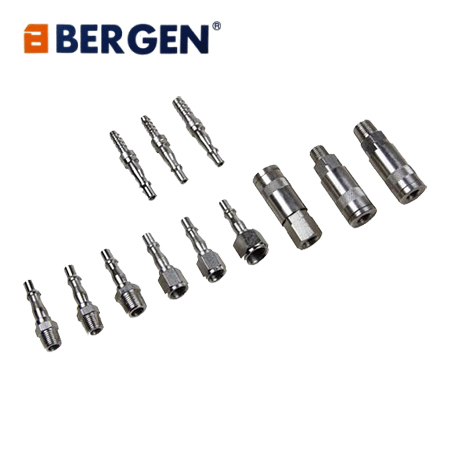 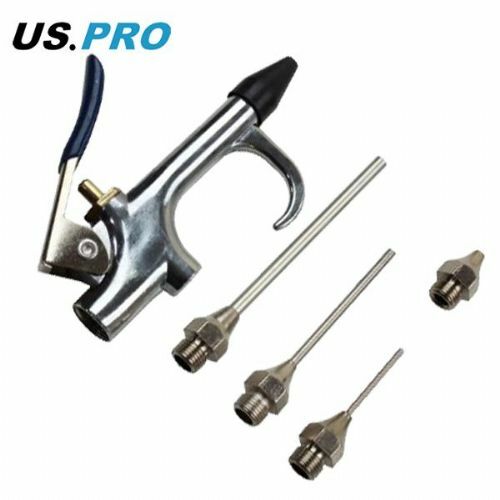 This comprehensive set includes: 1 x Air Blow Gun, 1 x Dual Tyre Chuck, 1 x Pencil Gauge (50 PSI), 4 x 1/4" Male Plugs, 2 x 1/4" Female plugs, 2 x Double Male Connectors, 1 x Double Female Connector, 1 x 1/4" Quick Coupler, 1 x Blow Gun Adaptor, 1 x Safety Nozzle, 1 x Tapered Inflator and 1 x Needle inflator. 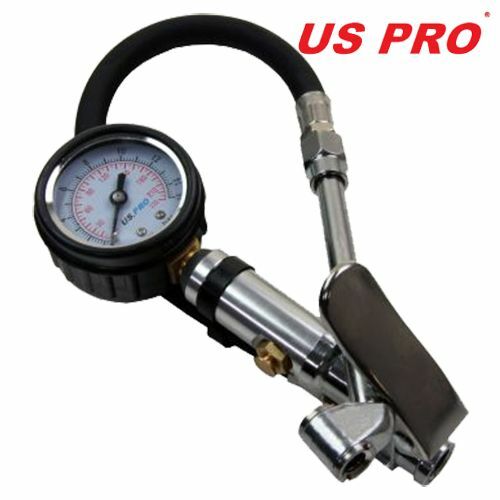 Made from high quality steel and brass as per the picture.